Developed as a low cost efficient method for storing and transporting goods, rod formed steel CubiCages® and Stackable Retention Units are now available in a variety of pallet sizes. 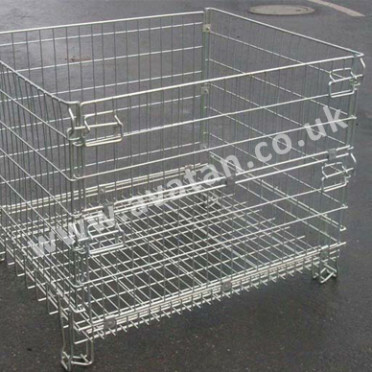 Each CubiCage® has a base formed from a lattice of steel rods creating a close mesh, suitable for the storage of all but the smallest articles. 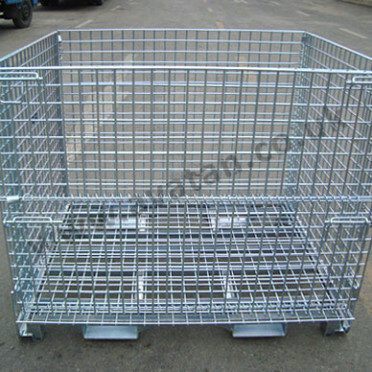 The base is fitted with hinging sides which interlock with the back and gate frames, creating a sturdy four sided stackable cage pallet. Most CubiCages® are built with a half drop gate on one side, giving easy access to their contents. Bespoke CubiCages® may also be designed and manufactured to suit individual customers’ needs. Finished in bright electro zinc plate, CubiCages® are less susceptible to rust than conventional painted mild steel stillages. Stackable up to four units high on rod formed feet, CubiCages® may be block stacked maximising warehousing economies. Folded flat, the empty cages can be returned in just a fraction of their original cube. Stackable Retention Units, sometimes known as Pallet Converters, create a solid and stackable container around conventional pallets. 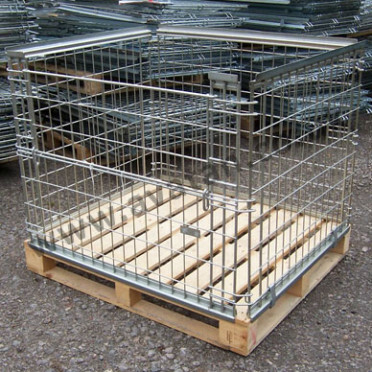 Our standard Stackable Retention unit converts a flat pallet into a safe and stable four sided mesh cage in moments. Each Stackable Retention unit is fitted with a half drop gate on one side enabling order pickers to gain easy access to the contents even when stacked. 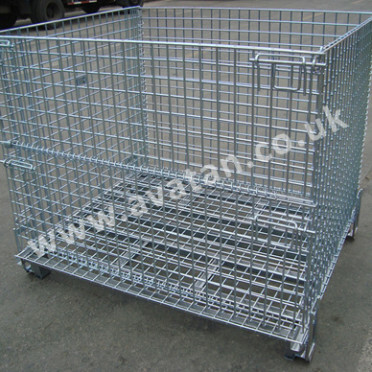 Retention Units are available for various standard pallet sizes and may also be used with plastic, aluminium or steel pallets. Finished in bright electro zinc plate, Stackable Retention Units are less susceptible to rust than conventional painted mild steel stillages. With a stacking rim both top and bottom, Stackable Retention Units may be stacked up to four units high. They may also be stored in conventional pallet racking, or may be block stacked maximising warehousing economies. 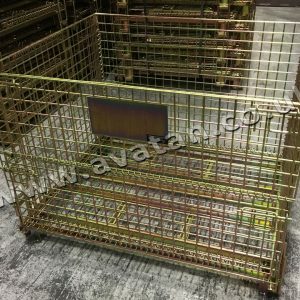 Folded flat, the empty cages can be returned in just a fraction of their original cube.